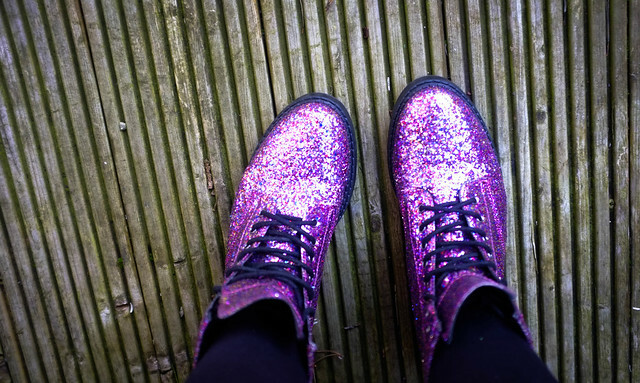 I simply cannot resist sparkly boots. These were £38 from Topshop, and I love them! 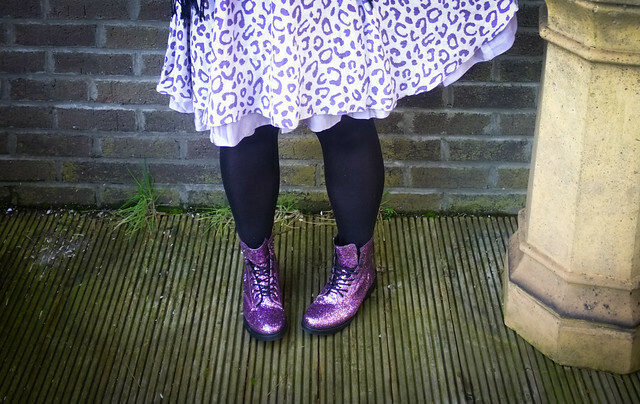 Wear with plasters for the first while though - totally ripped the heels off me, just like real Docs! Oh, and they also come in black glitter. THEY ARE WELL GOOD. 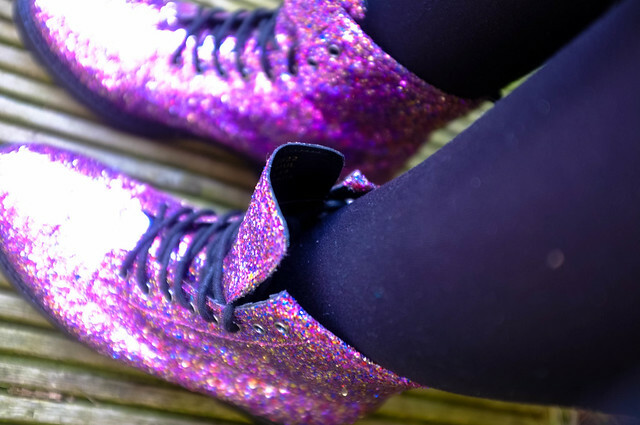 I remember the first time I got Docs, I was all like "THESE ARE THE BEST" until I started walking around. My poor heels will never forgive me. Totally worth it though! Oh my giddy aunt, these are amazing! Such pretty photos! I love your boots!